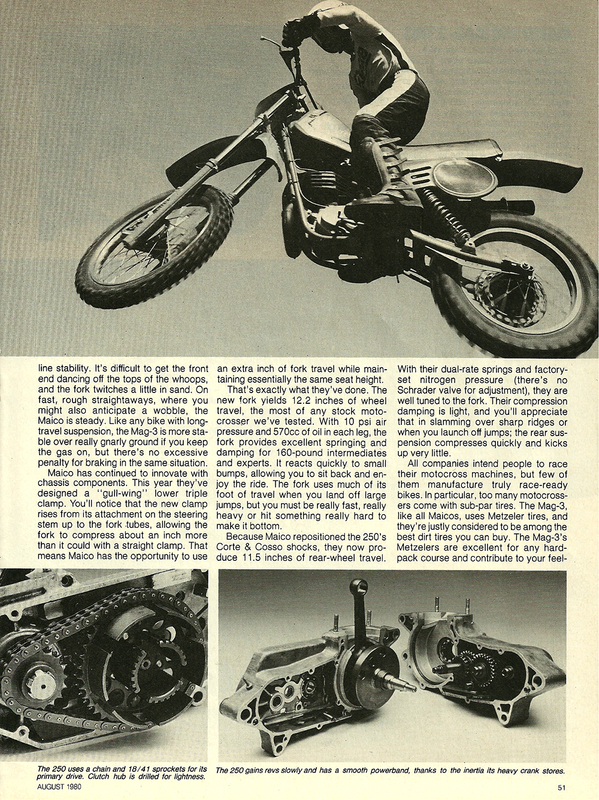 Brilliant in some areas, nagging and incomplete in others; a blend of motocross hot-doggery and enduro necessity; and Maico-ish in all it does. That's the new 450 WR, a bike to be loved or left alone. 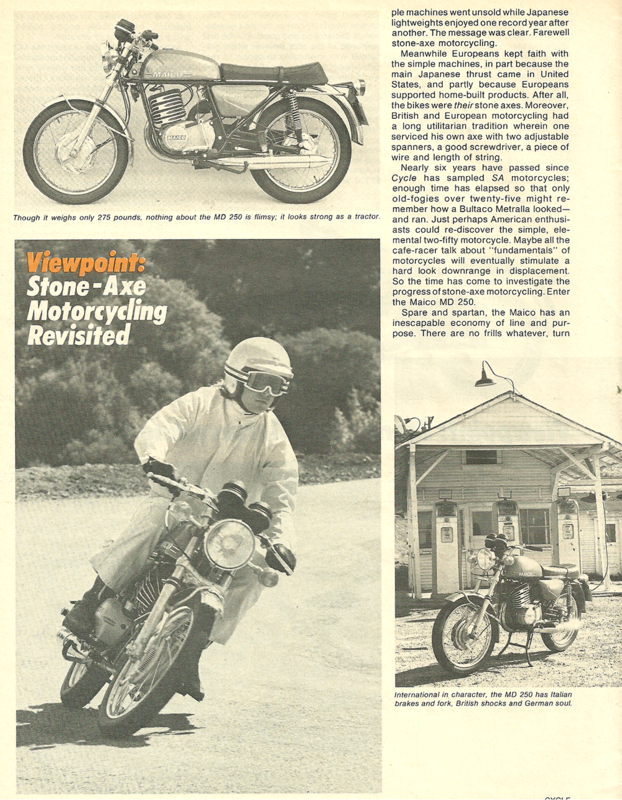 If some open class motocrossers just tolerate their riders, the 450 Magnum 2 absolutely accommodates its pilot. The manner in which it shifts, slows and turns can only be described as fluid. 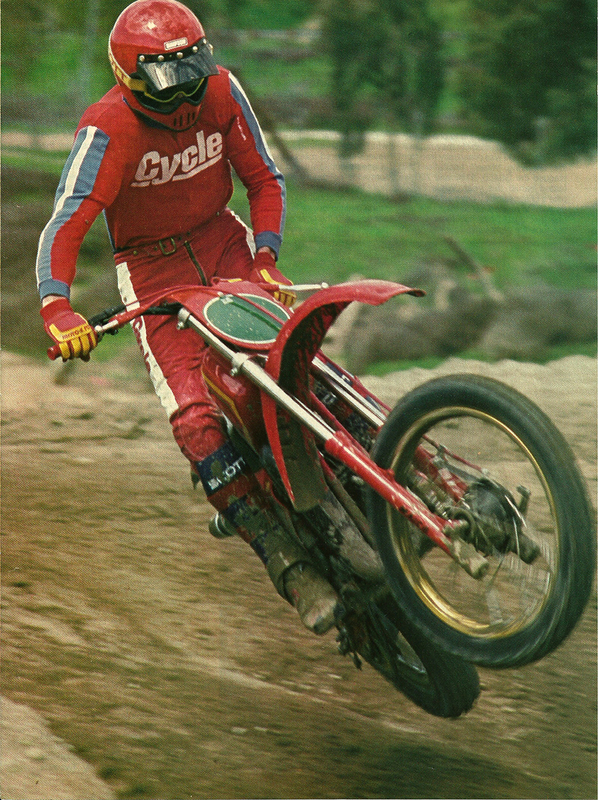 Power aplenty, impeccable suspension, and a new clutch for Maico's competitive big-bore racer. 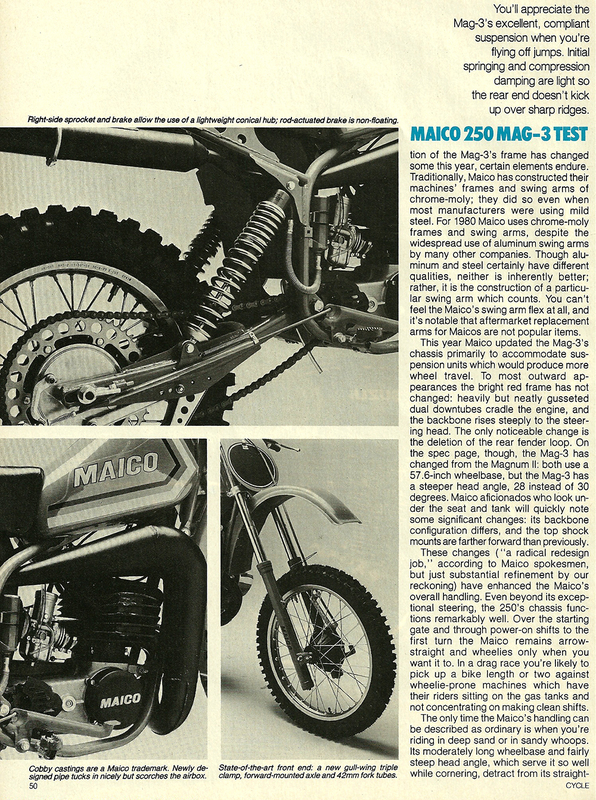 It's a Maico road bike, we explained to the dirt crowd. They couldn't accept it. 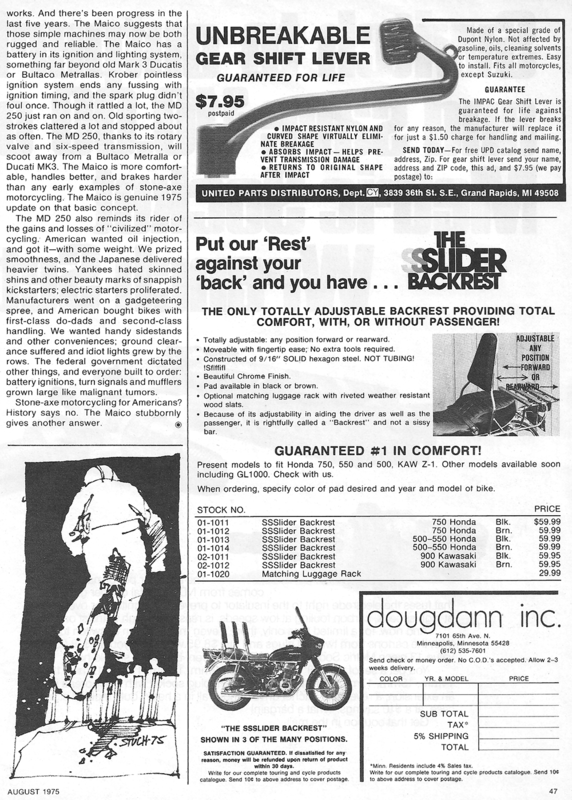 It's a Maico road bike, we repeated to the pavement runners. And they wouldn't believe it.